Dimmable AR111 (G23 Base) Lower Energy Saving Eco halogen light bulbs / lamps. AR111 (G53) light bulbs / lamps are a high performance reflector type lamp and provide high contrast, low glare lighting and are also known as Halospot 111 (By Osram) and Masterline 111 (By Philips). This type of lighting is often used in the retail industry such as in restaurants, shops, hotels and galleries. 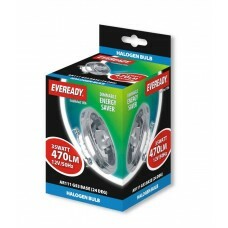 Get a great deal today on our low energy saving AR111 light bulbs.